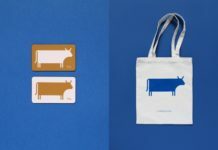 Master pages sound scarier than they are—the principle behind them is actually very simple, and they’re incredibly useful for adding consistent design elements to long documents. 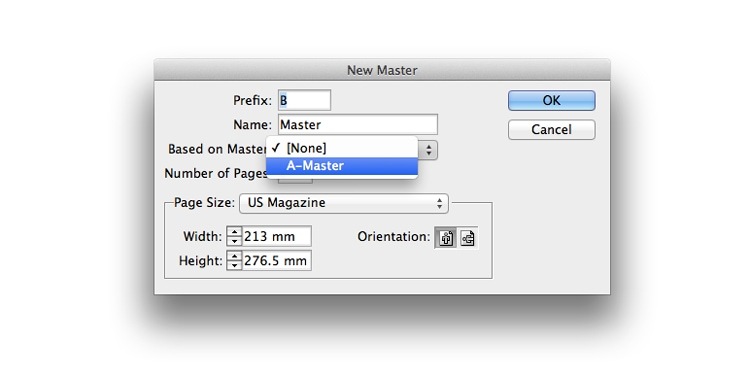 Here we break down the basics of Masters, and share some tips on how to get the most from one of InDesign’s handiest features. 1. What is a Master Page? 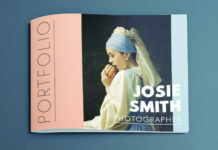 You can edit the Master, and add elements to it that you want to appear across multiple pages, such as page numbers, running headers and borders. 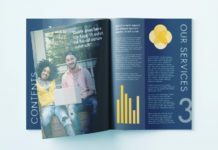 Masters are indispensable when creating multi-page documents like magazines, books, reports and brochures, allowing you to add design elements across a number of specified pages, creating a sense of consistency and professionalism in your document. 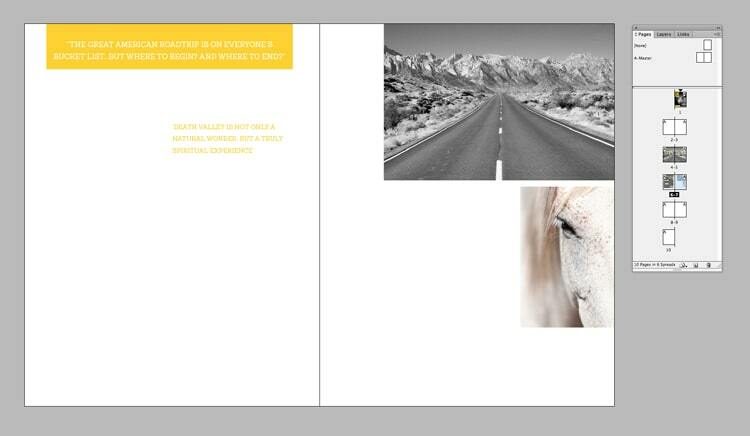 You can also create multiple Master pages, each with different design elements. A good example for when it would be appropriate to use multiple Master pages is when you’re designing a book that’s split into chapters. You might have one Master page for the opening page of a chapter, and another Master for the pages that sit within the chapter. You can also add different Masters for index pages and contents pages, which may require different page numbering systems or headers. 2. Where Do I Find the Master Pages? 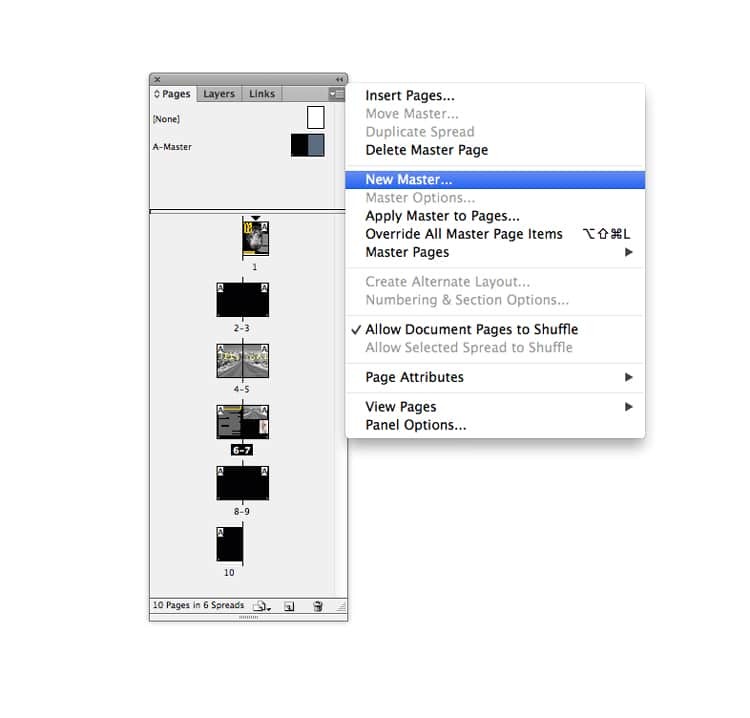 When you create a new document in InDesign, the software automatically creates two new Master pages for the document, which are visible at the top of the Pages panel (Window > Pages). One of these Masters is called, by default, the ‘A-Master’, and depending on whether you’ve set the document up with single pages or facing spreads, will be made up of one or two pages. 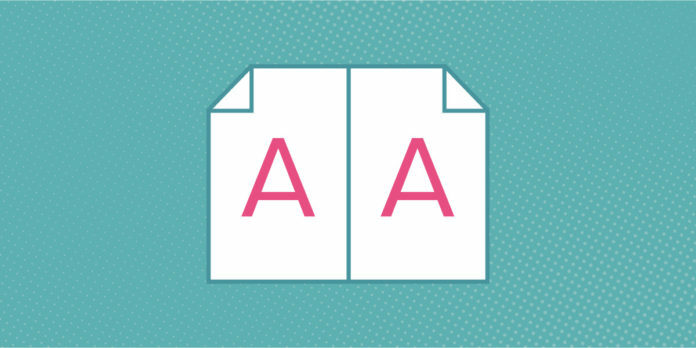 The A-Master is automatically applied to all the pages in your new document, which means that anything you put onto the A-Master will show up on all pages of your document. The Master page above the A-Master in the Pages panel is, in fact, not really a Master. It’s called [None], and by dragging this down onto a page icon in the panel below you can wipe the page of any applied Master. 3. 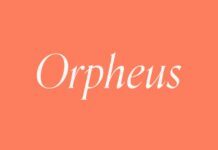 How Do I Edit a Master Page? Masters are quick and simple to edit—simply double-click on one of the Master page icons in the Pages panel to bring it up on screen. You can now edit the Master as you would a normal page. 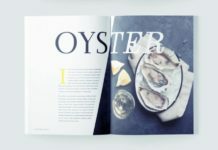 Let’s walk through the steps of editing an A-Master for a magzine, and look at how to add simple features like page numbers, running headers and background color. 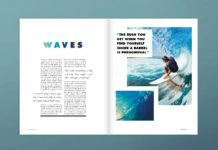 In this document, I want to create a Master that will add a few consistent elements to the pages of articles in the magazine. To do this, I double-click on the A-Master icon in the Pages panel (Window > Pages). 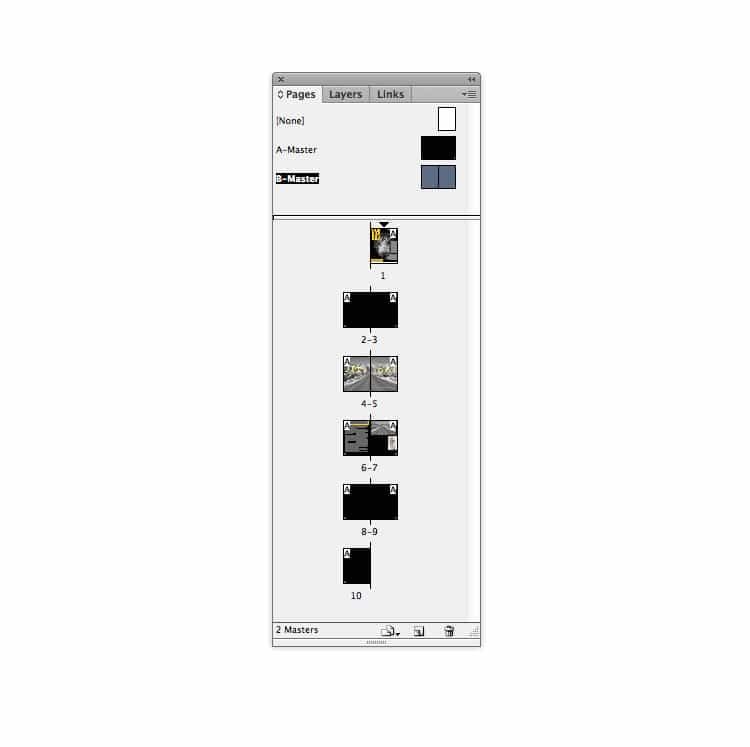 This is a two-page Master as the document has been set up with facing pages; clicking on either the left or right page of the Master will bring up the full spread on screen. Now you’re ready to start editing your Master! Think about the elements that will remain consistent across a group of pages. 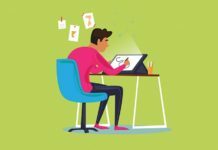 You can only edit these elements on the Master, and they will all sit behind the page content, so try to focus on elements that make up the background and basic template of your page. 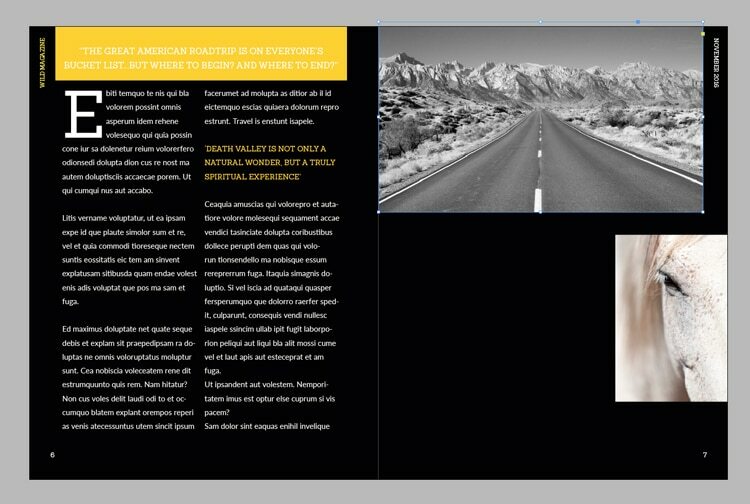 For the A-Master for this magazine I’m going to add background color, page numbers and running headers. 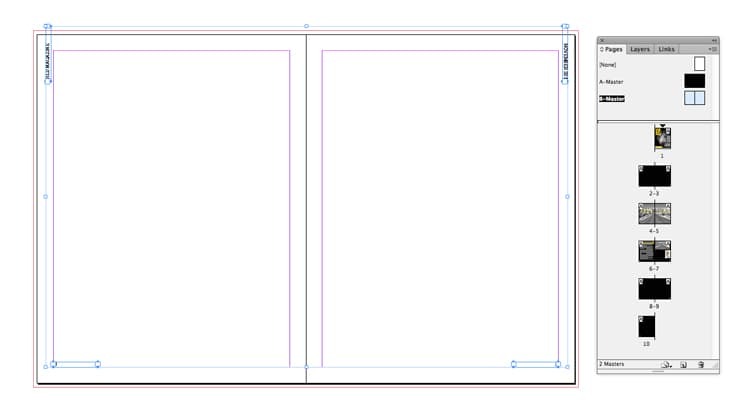 First, I take the Rectangle Tool (M) and drag onto the Master to create a rectangle that fills the entire left-hand page. 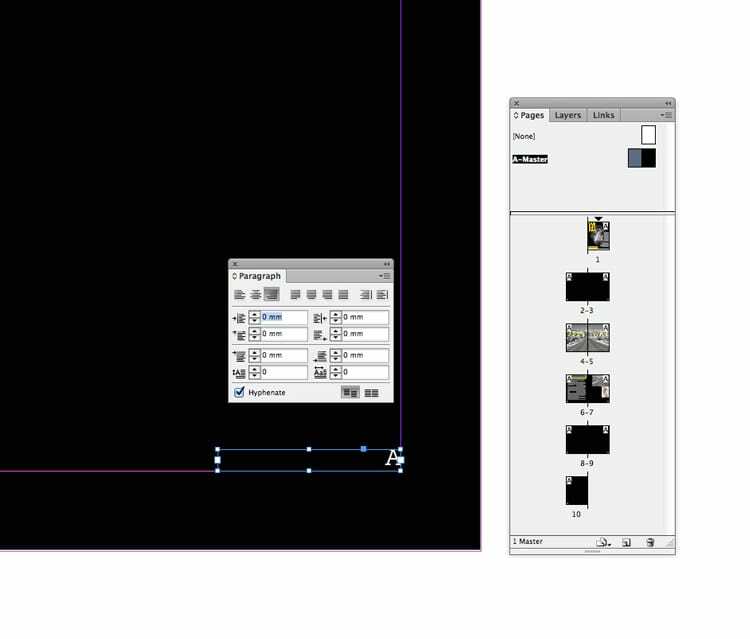 Using the Swatches panel (Window > Color > Swatches) I give the shape a black color fill. 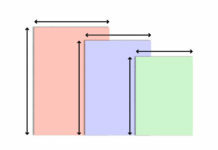 I Copy > Paste the rectangle and place the pasted shape on the right-hand page of the Master. 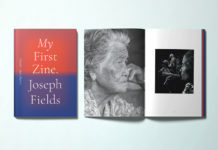 By keeping the color in separate shapes on each page I can apply only the left- or right-hand page to a spread in my magazine. 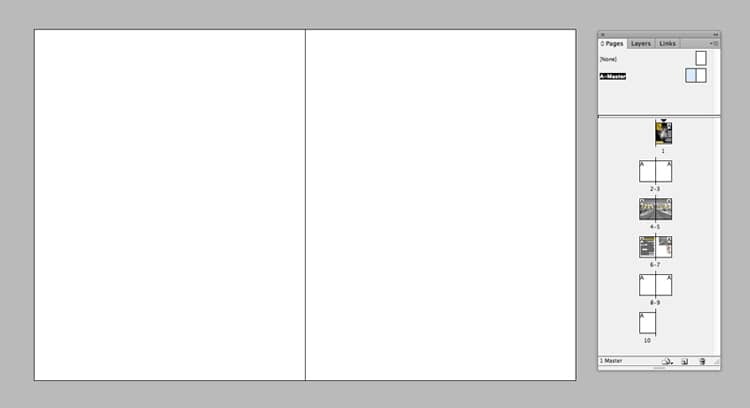 If I was to extend a single shape across the whole of the spread, the color would be applied to both pages of a spread automatically. I can also add page numbers to my A-Master. 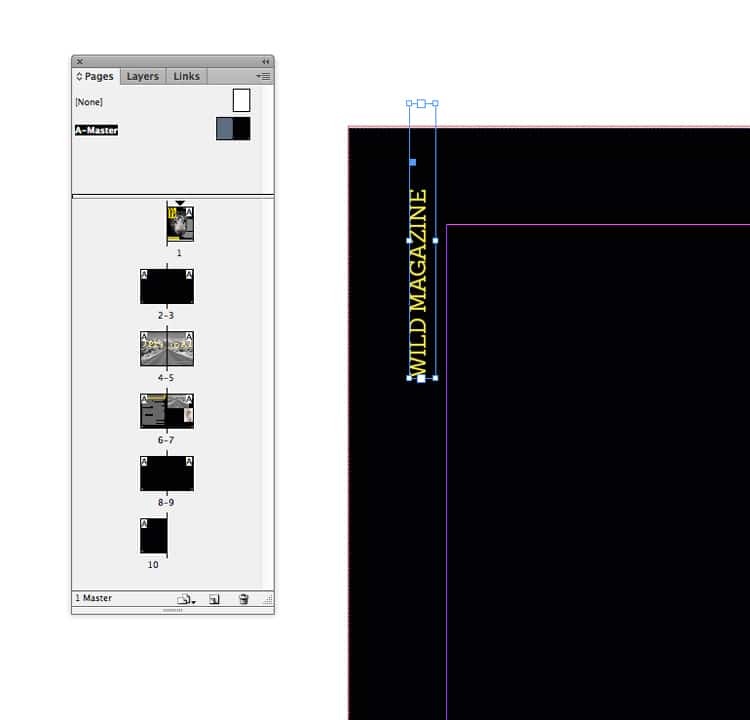 To do this, I zoom into the bottom left-hand corner of the left page, and use the Type Tool (T) to create a text frame. 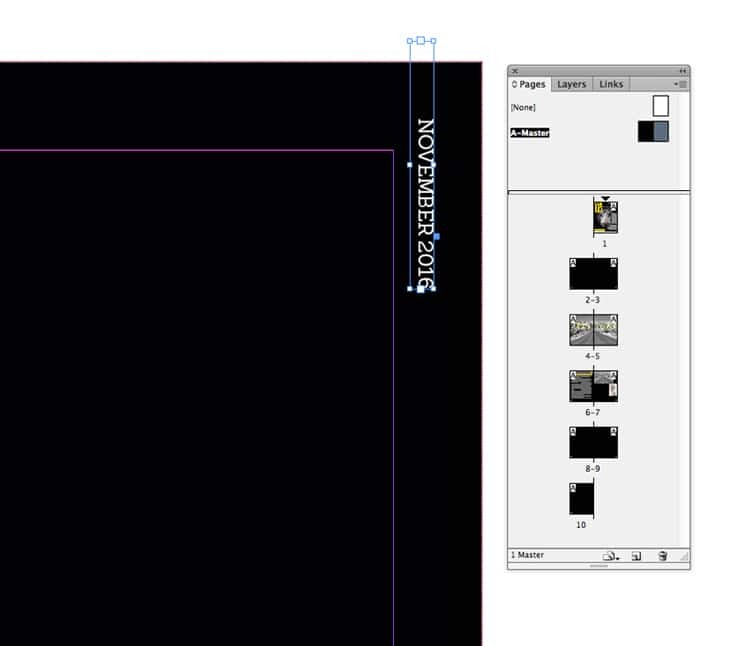 Placing my type cursor into the frame, I head up to Type > Insert Special Character > Markers > Current Page Number. 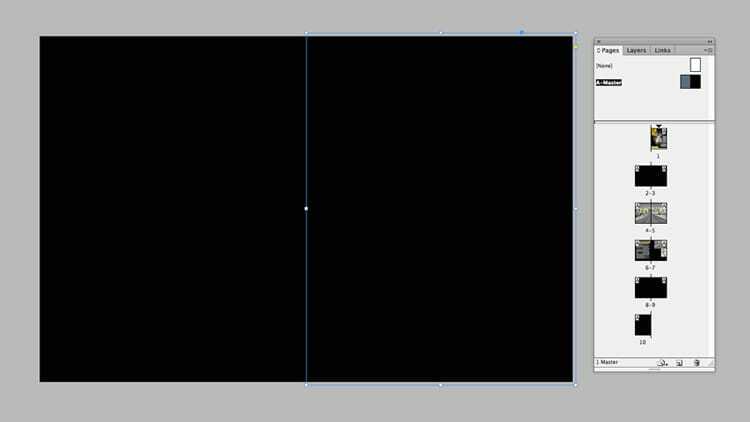 As this is the A-Master InDesign flags this up as an ‘A’ (this will adjust to the correct page number in the pages of my magazine). I can format the page number using either the Character window (Window > Type & Tables > Character) or the Formatting Controls panel running along the top of the workspace. Then I Copy > Paste the page number’s text frame and manouver it over onto the right-hand page of the Master. I switch the text to Align Right using the Paragraph window (Window > Type & Tables > Paragraph). 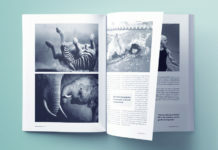 Using the Type Tool (T) I create a long text frame at the top of the right page, adjusting this to read the issue’s date, and then format the text to adjust the size, font and color. 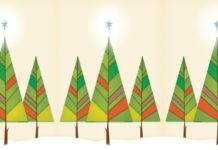 I rotate the frame 90° (Right-Click [Windows] or Ctrl-Click [Mac] > Transform > Rotate). 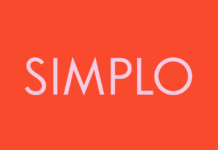 I Copy > Paste this text frame, moving it over to the top of the left page, and adjusting the text to read the magazine’s title. Then I rotate it 180°. 4. How Do I Apply a Master to Pages in my Document? …but I don’t want to have this Master applied to all the pages. I then have two choices. I can either click and drag down the [None] Master page icon in the Pages panel, dropping it onto pages which I don’t want to have a Master. Or I can create a new Master page to apply to different pages. For example, I might want to create a second Master which has the same page numbers and headers, but has a white background and black text instead. To create a new Master you can go to the Pages panel’s drop-down menu and choose New Master. This opens up a New Master dialogue box. From here you can set the specs for your new Master. If you want to create a new Master that contains all the elements of an existing Master and you simply want to build on this you can choose the appropriate Master from the Based on Master menu. 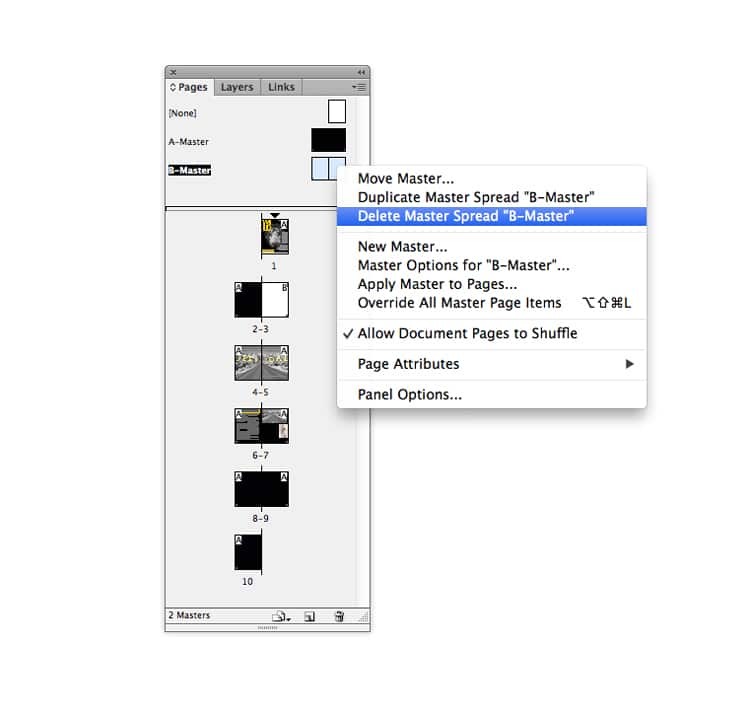 However, as here I want to create a Master with similar elements to the A-Master but I want to be able to edit them too, I can simply create a copy of the Master by selecting both pages of the A-Master (hold down Shift while you do this) and dragging it down onto the Create New Page icon at the bottom of the Pages panel. From here I can edit this new B-Master, such as removing the colored background and editing the text to a black color. To apply this B-Master to other pages in the document, I select either the left or right page of the B-Master in the Pages panel and drag and drop it onto the relevant pages. You can add linked text frames to your Master. This is particularly handy for typesetting long, text-heavy documents like books. Place a series of linked text frames on the Master page, but don’t fill them with text. When you return to the document’s pages, you’ll be able to feed text into the Master’s text frames without needing to add new text frames to each new page. The elements sitting on your Master page don’t necessarily need to sit behind the content of your pages. 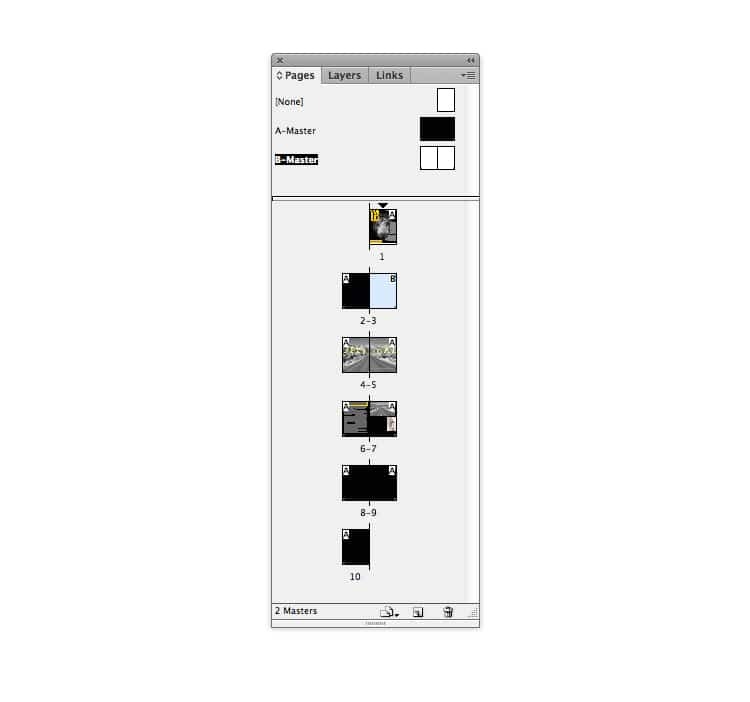 By placing some or all of the elements on your Master page onto a separate, top layer in your document (Window > Layers) you can ensure that page numbers and headers will always sit on top of other content. You can create as many Master pages as you like. For long documents some designers will use a wide range of Masters, treating them as templates for specific sections of a book or magazine. You can delete Masters by selecting the Master and either Right-Clicking (Windows) or Ctrl-Clicking (Mac) > Delete, or dragging the Master down onto the trash can icon at the bottom right of the Pages panel. You will be prompted with a warning message if the Master is applied to pages in your document. 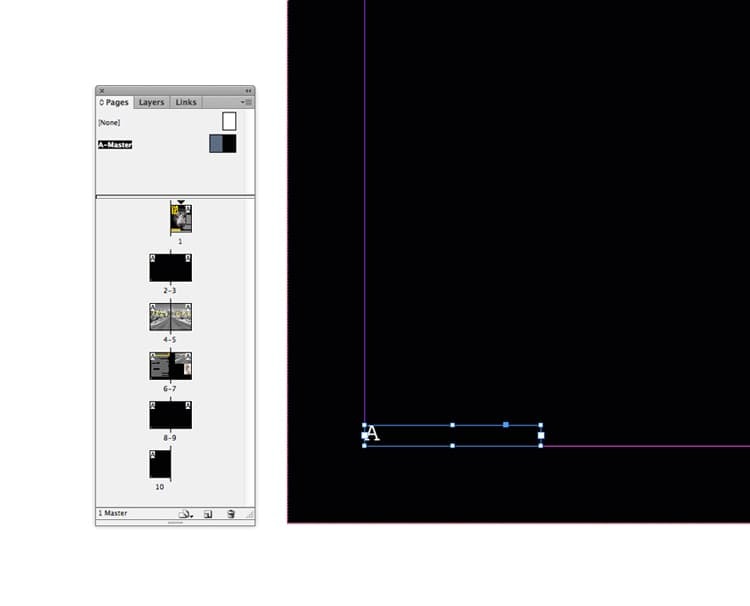 If you go ahead with the deletion, InDesign will apply the [None] Master to the affected page(s). 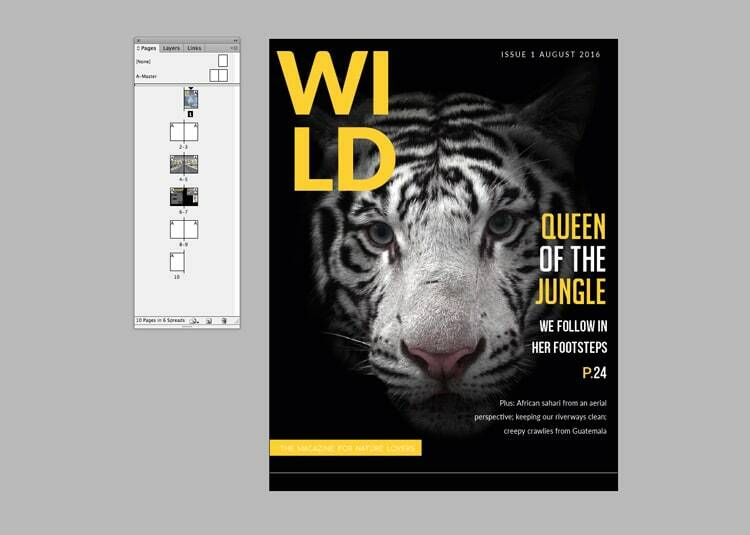 Want free InDesign templates? Of course you do! 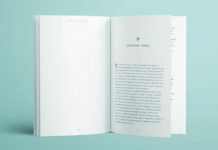 Find a range of ready-to-edit templates for book covers, business cards and more. 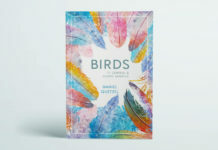 Find more InDesign tutorials here, and make sure to check out our edit of the best design inspiration to keep your ideas flowing.